This is the fifth in a series of behind-the-scenes glimpses into the production of The Mechanics’ Institute Review Issue 14. Since March, we’ve been posting first-hand accounts by some of the people involved in the process, describing the stage in which they’re taking part, and their personal experience of it. Our aim is to provide an insight into what publishing an issue of MIR entails, which we hope will be of interest to writers, readers and would-be editors alike. Post #5, on copy-editing, is by Sue Tyley, who has copy-edited (and proofread, but that’s another stage) MIR since its inaugural issue in 2004. Once the stories have been edited by the members of the editorial team (the subject of Sarah’s post), they’re passed to Sue for copy-editing. As copy-editor, I see my role in the MIR process as being to give the stories a final plane and polish, to smooth away any roughnesses that shouldn’t be there and bring out their grain and gleam, to ensure that MIR is the highest quality it can possibly be. In practice I tend to blur the distinction between copy-editing and line-editing, sometimes suggesting creative changes as well as making corrective ones. I offer the justification that the authors in MIR are often at the start of their literary careers, perhaps being published for the very first time, so I want to give them the best learning and development opportunity – and their writing the best launch / showcase opportunity – as I can. In fact, that’s one of MIR’s key aims. The truth is, though, that I follow the same distinction-blurring approach with established authors as well, albeit the suggestions are far fewer in number, and I haven’t yet met with a bloodied nose, which just goes to show what a lovely bunch authors are. In the fourth post in this series, Sarah referred to line-editing as the third of the three stages in her editing process, describing it as examining the story “sentence by sentence and exploring the detailed use of language” – that last part involving word by word, phrase by phrase scrutiny as well as sentence by sentence. It’s often said that every word in a short story has to be necessary, to earn its place, to contribute something, to work for you, the author; there’s no room for superfluity. And it has to be the absolute right word, in itself and in its relation to others around it. What are the criteria for “rightness”? Well, semantic accuracy, of course – it has to communicate correctly the author’s intended meaning. But language offers many more properties that can contribute to and determine a word’s rightness, including its overtones, associations, ambiguities and etymological resonance; stress, rhythm and cadence; assonance and alliteration; euphony or cacophony; perhaps even onomatopoeia. Not always, and not all at once, not for their own sake and not to excess – in fact, the more understated, subtle and subconscious (for the reader) the power and effect/affect of the words/phrases/sentences the better – but these properties are potentially at the author’s disposal for pressing into the service of the story. When she is faced with the overwhelming number of individual and combinative possibilities that writing presents, they can help her recognise and select, whether instinctively or after much thought, the right word. To steer this not-quite-digression back to the topic in hand: line-editing identifies places where word choices and combinations might be improved upon, the story better served, by taking one or more of these properties into account. Any suggestions are precisely that: suggestions, not prescriptions – an editor’s role is to help achieve the author’s vision, not impose their own, to see and help the author realise the potential of the story as far as possible. Copy-editing is more corrective than creative. 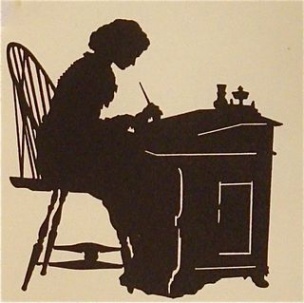 As Judith Butcher puts it in Butcher’s Copy-editing, its main aims are “to remove any obstacles between the reader and what the author wants to convey and to find and solve any problems before the book goes to the typesetter, so that production can go ahead without interruption or unnecessary expense.” Those obstacles and problems may include inconsistencies, contradictions, complexities, ambiguities and errors at the level of meaning, spelling, grammar, punctuation, structure, style, typography and layout. The standards and guidelines for some but not all of these aspects – e.g. whether to use double or single quotation marks, how to punctuate contractions and abbreviations, how to format dates, times and numbers, use of capitals and italics, -ise vs. -ize – are defined in the house style, and copy-editing also involves making sure the house style is adhered to. As with line-editing, all the obstacle removing, problem solving and house-style applying must take place while respecting the stylistic integrity of the work and the author’s intentions, so discretion and judgement rather than black-and-white rule following are invariably required. I’ll add a little more concrete and practicality to this discussion by mentioning the three things that come up most often in line- and copy-editing – with apologies to anyone reading this who’s heard me say it all before. Repetition. Repetition can be used effectively and intentionally, e.g. for stylistic reasons – to produce an effect of accumulation or relentlessness – or to bring out a theme, and/or because the emphasis and balance of the prose both build and depend on it. Sometimes, though, it seems unintentional, and snags the reader’s attention in a way that distracts/detracts from the content and meaning. The repetitions that seem to my eye and ear to belong to the second category are the ones I draw to the author’s attention. The repetition could be a word or a phrase, and be repeated just once or up to a dozen times, whether in a sentence, paragraph or throughout the story. It could be a verbal whisker – “just”, “really” (though, equally, that may be intentional, part of a character’s or narrator’s idiosyncratic speech pattern) – or a favourite word – often a great word, like “spangled”, but the repetition’s all the more obtrusive for it. Or it could be an inelegant cluster of a basic conjunction such as “but”. Specificity. There’s a time and place for a character to go somewhere, as in “He went to the window.” “Went” is economical and efficient. But, providing it serves the interest of the story, the verb could be an opportunity to be more specific, more vivid and evocative. “He crossed to the window” tells you more about the character’s position in the space of the room. Similarly, “hurried”, “limped” and “sidled” all work harder for the author than the more generic “went”. In H is for Hawk, Helen Macdonald has deer that “ankle” their way out of the brush; you can’t get more uniquely specific than that! George Saunders has written often about specificity, including recently in the Guardian (especially section #3), and Daniel Hahn has raised similar points when talking about the work of a translator (see for example his episode in a Why I Write series of The Essay for Radio 3 – which actually touches on lots of other aspects relevant to this post too). Stress, rhythm and cadence. These properties aren’t the exclusive preserve of poetry; they’re just as relevant to prose. Sometimes just a change of word order, or replacing a two-syllable word with one syllable, or using a word with a different stress pattern, can make all the difference to the rightness and effectiveness of a phrase or sentence. “Walking down the long, easily washed corridors of his grandmother’s nursing home, the squeak of the nurse’s rubber soles made his family’s silence seem more hysterical than it was.” In this construction of the sentence, it’s the squeak that is walking down the corridor, not the nurse. “Faced with the overwhelming number of individual and combinative possibilities that writing presents, these things can help the author recognise and select the right word.” In this construction of the sentence, it’s the things that are faced with the possibilities, not the author. Punctuation. Frequently encountered punctuation errors concern the ellipsis, dash, colon, semicolon and comma. To move on after that interruption, colons and semicolons also get misused. A colon may be used for several purposes: to introduce a list, to explain or otherwise expand a statement, and sometimes to introduce direct speech or a quotation. Writers often use a colon when they should use a semicolon and vice versa; the difference may be quite subtle. Avoid the comma splice, this sentence is an example. A comma splice is when separate sentences are joined by a comma where a full stop or semicolon should be used instead. Wrong word. Wrong words may be a question of spelling, or of getting the word almost right, e.g. florescent vs. fluorescent, laminated vs. marinated, semitones vs. semiquavers. And of course they may be deliberate. To end with, a few words about the nuts and bolts and oiling aspects of copy-editing. For MIR, as for most of my copy-editing assignments, I use MS Word’s Track Changes and Comments functionality to indicate the proposed (copy-)edits and to make suggestions, comments or raise queries. I email the marked-up file to the author, requesting that they check the proposed edits and insert their responses to the suggestions/queries – or make further edits, as appropriate – in the same file, keeping Track Changes enabled, and send it back to me. I review their updated version, and will reply with follow-up comments if necessary, repeating the process perhaps as many as six times until we’re both happy – or have reached a compromise. As part of copy-editing, I reformat and tidy up each story so that the text is clean, clear and consistent, to make the typesetter’s job easier. Reformatting includes applying MS Word styles to achieve indented paragraphs or new sections (rather than using tabs, spaces or empty paragraphs); deleting any unwanted tabs and redundant line and character spaces; and, if necessary, changing single quotes to double and, for dashes, hyphens to en rules. MS Word’s Find and Replace functionality makes a lot of this quicker and easier than it may sound. If you’re a copy-editor – in fact, for writers, too – it pays to make Word your friend. 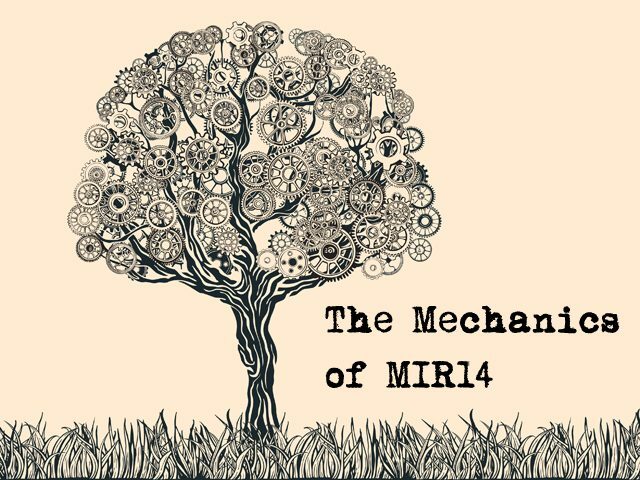 Copy-editing MIR14 involved exchanging emails and files with 27 authors, some with as many as 6 follow-up iterations, over a 4-week period. To stay on top of it all, and sane, I use an Excel spreadsheet – with, I’ve just counted, 25 columns – to monitor the status and progress of each author’s story and biography. I also try to make sure I specify a due date for each requested response, and I’m obsessive about file-naming, to ensure version control. So there it is. The copy-editing stage. Sue Tyley is a freelance copy-editor and proofreader, and has been involved with The Mechanics' Institute Review since the first issue in 2004.